I’m no stranger to defending things that feel like they should be dead. I’ve Defended Pop Punk. I’ve Saved Rock n’ Roll. I even Revived Ska for a short summer stint. Unfortunately, you either die a hero, or live long enough to see yourself become the villain. I’m older now. I get tired easier. I hurt for a lot longer than I used to. My idea of fun has migrated away from getting elbowed in the mouth and bleeding down my shirt (it’s a very long story) to something a little more quiet and a lot more Netflix-oriented. For the love of God, I work a 9 to 5 desk job. And don’t get me wrong, I like my job, and I like my new routine of going to bed before 10 p.m. I like eating real food and I like getting eight hours of sleep. But the fifteen year old me would not have been impressed that these days, I’m a lot closer to the ubiquitous Man than I am to raging against a machine. But one thing has never changed about me, and it likely never will: I will always fight for the underdog. Here I was, at said office job, tick-tick-tick-typing away, foolishly thinking that the reckless passion of youth had abandoned me — that I had traded my Doc Martens in for smart-yet-stylish ankle boots — that I had turned in my aggressively under-washed plaid shirts for something a little more grown up. And then the murmur of “Print is Dead” started to build around me like a circle-pit, and I found myself dusting off my boots for one more romp. The top magazine in the 18-49 demographic (People) reaches almost twice as many people as the top TV show in the same top spot (The Walking Dead). I mean, do those sound like “dead” numbers to you? One survey found that print campaigns added as much as 15% to brand awareness, as compared to campaigns that didn’t include print components. Another found that Magazines had a $3.94 Return on Advertising Spend — a full $1.31 above the next biggest return, Digital Display that sits at $2.63. 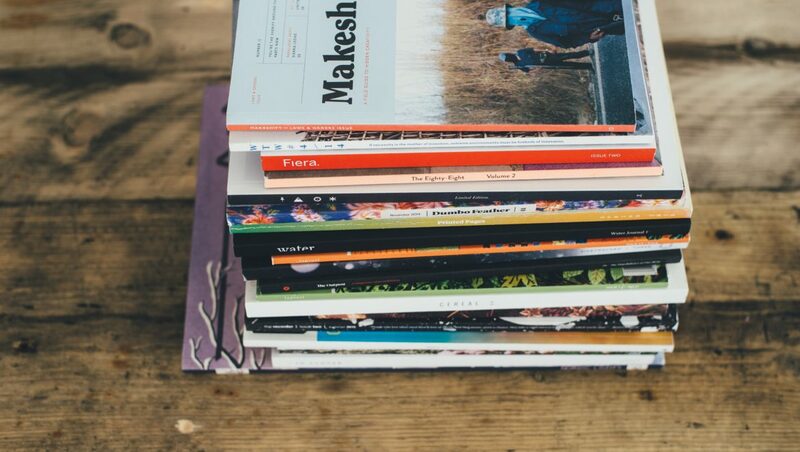 Basically, Magazines are good for your brand because they’re more trusted by and demand more attention from consumers. And in an age of “fake news” and media distrust at an all time high — this is a revelation. So take it from your resident book nerd, wordsmith, or at least just your favorite copy writer.